Attention: Adults with ADHD and parents of children with ADHD. If you are concerned about the best approach to treat ADHD or feeling overwhelmed and stressed dealing with ADHD – Don’t Give Up Yet! Imagine… Finally understanding more about the most effective ADHD treatment options available; Knowing how to choose the treatments that are right for you or your child; Knowing how to find a solution to the problems that ADHD symptoms cause in your life or your child’s life; Feeling confident that you are doing absolutely everything possible to effectively deal with ADHD. Finally, an easy to use holistic approach to help you get the right ADHD treatment for yourself or your child even if you have already tried everything else. Do you lie awake at night worrying that you or your child will be a failure in life, not succeed in business or school, miss out on important things, never have good relationships? Are you afraid that you or your child are not taking advantage of the best possible ADHD treatments? Are you concerned that the treatments you are already using haven’t worked all that well? Are you struggling with unacceptable side effects of the treatments you are using or have tried in the past? I’ve been where you are. I raised a child with ADHD and it was extremely important to me to make sure she received the best possible treatment. When she was first diagnosed with ADHD, stimulant medication was the only alternative provided by her doctor. We tried it and it worked well but had some significant side effects. When I learned about Neurofeedback we tried it and she was able to discontinue the stimulant medications. She later graduated from college with three years on the dean’s list with no ADHD medications. Along the way I learned about effective options for treating ADHD from a holistic perspective because I discovered that a one pronged approach just doesn’t work. feeling guilty and not good enough? get to bed on time? Did you know that research indicates that between 8-10% of school-aged children have ADHD and approximately 4% of adults? Up to 60% of children with ADHD will become adults with ADHD. Despite the huge prevalence of ADHD, the standard treatment for ADHD has been stimulant medication (and recently a few non-stimulant meds) often prescribed by a child’s pediatrician or an adult’s primary care physician. But did you know there are many other treatments available that have been proven effective besides medication? Studies show that medication alone is not as effective as medication combined with Cognitive Behavioral Therapy. And studies show that Neurofeedback was rated with level 5 efficacy (the highest possible) in a study published in the EEG and Clinical Neuroscience 2009 Journal. Did you know that mindfulness meditation can improve ADHD symptoms? A feasibility study titled ‘Mindfulness Meditation Training in Adults and Adolescents With ADHD’ published in the Journal of Attention Disorders found that meditation led to improvements in self-reported ADHD symptoms and test performance on tasks measuring attention and cognitive inhibition. Improvements in anxiety and depressive symptoms (so common in people with ADHD) were also observed. Did you know that studies show that people with ADHD are commonly deficient in any of three different nutrients? Often supplementing with these essential nutrients can reduce ADHD symptoms. I’m sure you already know how confusing and challenging it can be to learn about treatment options and decide which ones are the best for you or your child. This book and CD set will guide you to learn what’s available and then help you determine which treatment works the best for you. 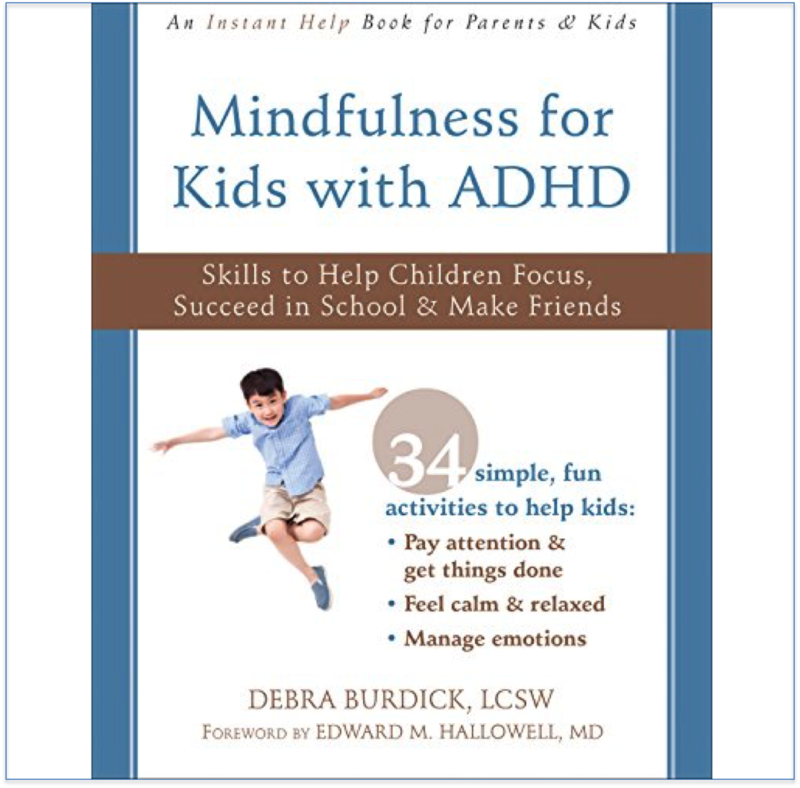 Unlike other books about ADHD it provides an integrative holistic approach to treatment that can be very effective in not only managing but actually reducing symptoms of ADHD. If you, or your child, have ADHD you are probably frustrated because you’ve already tried some things with little success and you don’t know where to look to find out what else is available. If you have been dealing with ADHD for some time you I’m sure you have tried to find something that would help. I’m sure you found that some of the more common ADHD treatments just don’t work for you or your child. When you’re dealing with ADHD, one size does NOT fit all. ADHD impacts each person in unique ways and therefore you need unique solutions. What if I could help you with every single fear and concern you have about finding the right treatment? Well, it isn’t. My ADHD TREATMENT OPTIONS. 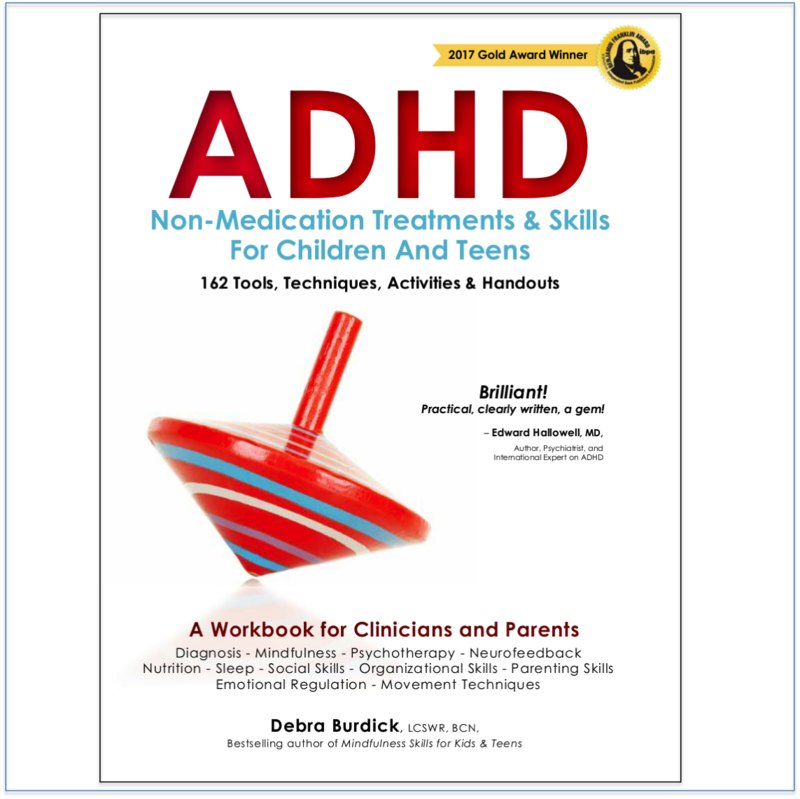 How to Choose the Right Treatment for You or Your Child book and companion CDs give you all the pieces of the ADHD treatment options puzzle in one place with a proven approach to success you just can’t get anywhere else. You will set yourself and/or your child on the path to success following proven methods to improve ADHD symptoms based on the most current neurobiology and ADHD research. This book and CD set will help you understand what’s involved in ten different treatment options. It teaches you about the pro’s and cons of the various treatment strategies. It provides resources for finding treatment providers. It gives you a proven method for tracking treatment progress so you can monitor treatment effectiveness. You’ll finally understand what works, and what doesn’t work. You’ll learn better ways to set yourself or your child up for improved success in all areas of life. Plus, you will learn how to track how the treatments are impacting ADHD symptoms as well as sleep. What a bonus! Get started now, and help yourself or your child sleep better tonight! My name is Debra Burdick, LCSW, BCN, and I’m the parent of a child with ADHD who had a significant sleep issue, so I’ve been where you are. Although I don’t have ADHD (yes, there are times when I think I do), I’ve become an expert on succeeding and thriving with ADHD as I have parented a child with it, was married for 20 years to a man with it, and have been in business situations with a partner who thrives with it. As a psychotherapist and Neurofeedback practitioner, I’ve helped thousands of adults, children, and their families with ADHD since 1989 many who felt they had already tried everything. I’ve learned what works and what doesn’t work in the real world from personal experience, from my clients, and from the relevant research. I learned and perfected many techniques to treat ADHD as I helped my daughter and my clients improve their ability to thrive with ADHD. I pass this on to you in this book and CD set to give you the tools to help you and/or your child live a happy and successful life. If any of this sounds like you or your child my book and companion CDs can help you today. ADHD TREATMENT OPTIONS. How to Choose the Right Treatment for You or Your Child helps you solve the problem of finding out about the best treatment options for ADHD. It teaches adults with ADHD and parents of children with ADHD what they need to know to make informed choices about treatments to ensure they or their child will thrive with ADHD. It describes the risks of not treating ADHD. And it gives specific information about treatment options that can be used right away. It even discusses the costs of various treatments and how to pay for it. ADHD TREATMENT OPTIONS. How to Choose the Right Treatment for You or Your Child includes a wealth of information in an easy to use format. It describes treatment options, the research behind the options, how the treatment is done, who provides the treatment, and where to find treatment providers. Contains an interview with a highly regarded Neurofeedback practitioner. He teaches you what Neurofeedback is, how it works, and what the research says about it. Contains an interview with a psychiatrist and Medical Director at an ADHD treatment center! He teaches you about medications used to treat ADHD specifically for children and the information applies to adults as well. He discusses drug safety as well as other essential information. Applicable tax, shipping, and handling are added at final checkout. Jump-start your program with this introduction to help you improve your memory, concentrate better, get more done in less time, and perform at your absolute peak. Learn what works to keep your brain healthy and how to make it work more efficiently. Everyone in the family will benefit from these six steps. Receive a quick reference of 50 essential tips to treat ADHD symptoms. Keep it handy to remind you of all the things you can do to manage or reduce ADHD symptoms. Stay on top of the latest ADHD and brain research and treatment information with my monthly ezine, The Brain Lady. Each issue is packed full of resources and ideas to help you or your child succeed. Let’s Take a Look at Everything You’re Getting. 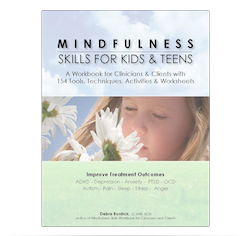 You get comprehensive descriptions of ten effective treatments for ADHD. You get an hour long interview with a Neurofeedback expert. You get a half hour long interview with a psychiatrist who specializes in ADHD… the worksheets… real-life examples and techniques… and the bonuses. Everything we’ve been talking about is yours for the one-time payment of $34.99 $27.99 for a limited time. Can you afford NOT to order right now? Let’s put all the cards on the table here. Every day you wait to order this, you’ll see yourself or child slipping further and further behind. I know you’ve tried other programs and read a library of books that didn’t work, so you’re reluctant to get your hopes up. I was there once, too. I promise you will not be disappointed. I guarantee your success. You know that the longer you wait to order and get started, the longer you’ll wait for results. The time to act is now. You need this information right away! Are you finally ready to get a good night’s sleep? I’m ready. Send it to me now! You have my personal promise and guarantee. I am so certain, so positive that ADHD TREATMENT OPTIONS. How to Choose the Right Treatment for You or Your Child! will help you that it comes with a money-back guarantee, and you can return the book and CDs for a full refund within 30 days of purchase if you are not completely, 100% satisfied. I personally guarantee it. But I know once you get ahold of this book and companion CDs and start to use them, you won’t give them up for anything. This is the answer you’ve been searching for and agonizing over. Don’t waste another moment . . . get started now! I’ll ask again . . . can you afford not to get this right now? You and/or your child’s future is at stake. P.S. I want you to experience my book and CDs for yourself, risk-free, and see how my holistic approach to ADHD treatment will help you or your child gain control over your ADHD at last. It’s fully guaranteed so you have nothing to lose. P.P.S. ADHD TREATMENT OPTIONS. How to Choose the Right Treatment for You or Your Child is being used to teach adults, parents, health care professionals, and therapists how to help people of all ages with ADHD thrive. Isn’t it your turn?